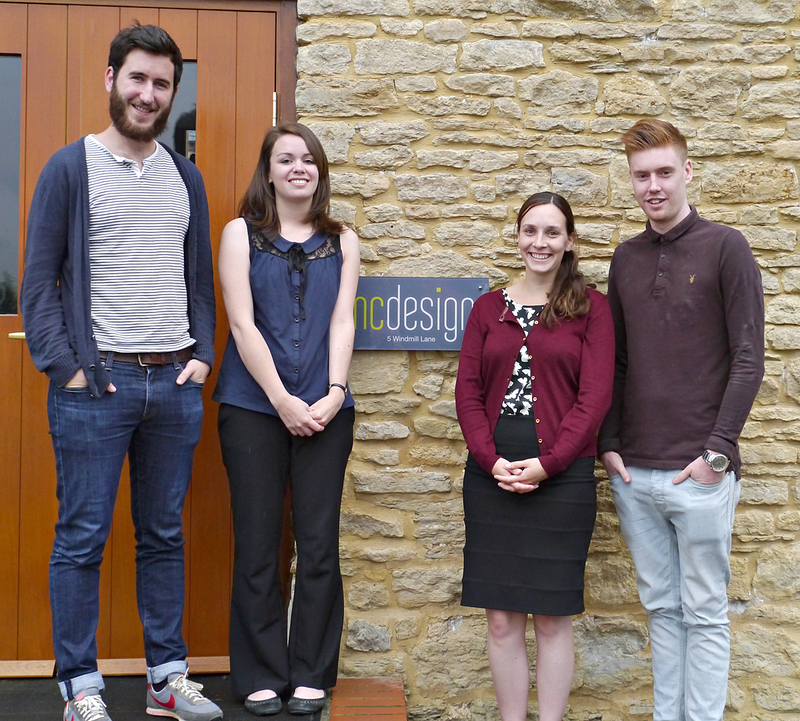 Over the summer we’ve been busily recruiting top new designers to join our growing and very busy team! We have a very stringent recruitment processes to ensure that we pick the most creative designers who also have a strong technical approach. We had about 450 candidates apply throughout the summer so it was no mean feat for us and the designers. Now they are all here we thought it would be nice to introduce them properly! Eduardo joined us in May from a magazine publisher in London. He decided he’d had enough of the city and wanted to experience designing for the editorial and educational publishing market. He is also a dab hand at the acoustic guitar (originally being from Spain) and is learning to play the ukulele. Jordan then joined us in July having wowed us with his portfolio and enthusiasm in his interview. He studied Visual Communication at Birmingham City Uni and couldn’t wait to make the move down south to emc design. He’s also very artistic and has some beautiful illustrations on his site here. Throughout the summer we then took turns visiting the design shows where we saw some brilliant work. At Reading University we met Becky and Abi who have since joined us this August. Becky made a brilliant first impression at the show and we then confirmed this by putting Becky through her paces at interview. She really impressed us with the huge amount of work she had done, including some beautiful illustrations. Becky is also a keen badminton player and since moving to Bedford has already played with Gail Emms’ mum! And then last to join us this week is Abi, also from Reading University. Abi was one of the first students to contact us when she heard we were coming to the show so we were looking forward to seeing her work, which we got really excited about. On her induction afternoon Abi got stuck right in by helping us to make scarecrows! We’re so pleased to welcome this very talented bunch to our brilliant team and we wish them a very happy and fulfilled career with us.